We already had goslings and ducklings in the nearby park (and merganserlings in Estonia), but now we also have two batches of swanlings. On Saturday night, I found mommy and daddy mute swan navigating an area of lily pads with their five offspring in tow. The cygnets kept getting distracted and the procession came to a complete stop when one of them discovered an emerging lily flower. The kids weren’t ready to move on until they’d all tasted a few petals. 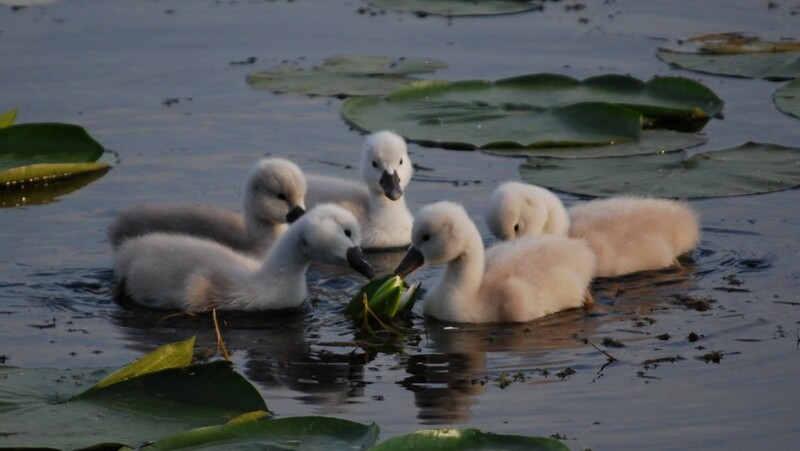 More pictures of the cygnets are on the shelf to your left.